[...] By 2024, says the CBO, Obamacare will reduce the size of the U.S. labor force by 2.5 million full-time-equivalent workers. That’s roughly triple what the CBO had estimated three years ago. Such a sizeable decline in the labor force will have substantial detrimental effects on the U.S. economic and fiscal picture. In its annual, 182-page Budget and Economic Outlook, the CBO undertook an overhaul of the way it analyzes the effect of Obamacare on the job market. The new, larger estimate of the law’s negative impact on the labor force derives from three factors: (1) Obamacare’s employer mandate, which will discourage hiring and reduce wages offered by employers; (2) Obamacare’s $1 trillion in tax increases, which will discourage work and depress economic growth; and (3) the law’s $2 trillion in subsidies for low-income individuals, which will discourage many from remaining in the labor force. Let’s focus on that last point, because it’s the one that has been the least-discussed in the media. In the past twelve months, a spate of research from academic economists has concluded that the health law, by offering economic benefits to low-income individuals, will disincentivize some of these individuals from continuing to work. Casey Mulligan of the University of Chicago has been particularly persuasive on this front, publishing two papers with the National Bureau of Economic Research. More significantly, as Casey Mulligan has warned, the new subsidized insurance exchanges will allow low-income workers to work less while maintaining the same effective income: what economists call the income effect. In addition, because the subsidies decline on a sliding scale as you make more money, that sliding scale means that as workers work more, they make less per hour worked: what economists call the substitution effect. CBO staff, to its credit, read the sheaf of new research on this topic, and revised its estimates accordingly. Hence all the hubbub about the new report. But wait—there’s more! Over the longer run, CBO finds that because of this law, individuals will be empowered to make choices about their own lives and livelihoods, like retiring on time rather than working into their elderly years or choosing to spend more time with their families. At the beginning of this year, we noted that as part of this new day in health care, Americans would no longer be trapped in a job just to provide coverage for their families, and would have the opportunity to pursue their dreams. Bored with your job? No worries—now you can quit, thanks to the generosity of other taxpayers. Want to retire early? No worries—now you can, thanks to the generosity of other taxpayers, and also thanks to the higher premiums that young people will be forced to pay on your behalf. The White House’s apparently sincere belief—echoed by progressive pundits at MSNBC, The New Republic, and the L.A. Times—is that it’s a good thing for fewer Americans to be economically self-sufficient. If you’re one of the chumps out there who still toils away at a challenging job, and still pays taxes so that others can “pursue their dreams,” you have a right to resent the White House’s argument. And the “dream-pursuers” themselves should become aware of all the research suggesting that earned success, through hard work, is the most reliable path to true happiness. Participation in the labor force was already declining, thanks to the poor economy and the retirement of the Baby Boomers. Obamacare, it appears, will accelerate that process, forcing fewer and fewer taxpayers to support a greater number of government beneficiaries. I should issue two caveats before I go on: any health-reform plan that seeks to offer coverage to the uninsured will have this type of effect on the labor market. As Josh Barro notes, the new Republican plan to replace Obamacare offered by Senators Tom Coburn (Okla.), Richard Burr (N.C.), and Orrin Hatch (Utah) also has a means-tested subsidy to help the poor buy health insurance. In addition, it is genuinely a good thing for us to move to a system where people control their own health dollars and their own health coverage, and aren’t stuck at a job because they’re afraid of losing the coverage they have. But giving people the opportunity to switch jobs is quite a different goal from encouraging them to drop out of the work force altogether. The negative effect of Obamacare on the labor market is far worse than any Republican alternative would be, because the ACA dramatically expands Medicaid, and because the law heavily subsidizes health insurance for those nearing retirement. In addition, Obamacare depresses economic growth through a $1 trillion tax increase, and increases the cost of hiring new workers, because of its employer mandate requiring most businesses to offer health coverage to every worker. The new CBO report contained a lot of other interesting information. CBO projects that economic growth will be more sluggish than they had previously projected. From 2018 to 2023, nominal GDP growth will average 4.2 percent, compared to the CBO’s previous estimate of 4.4 percent. Over the same period, unemployment will average 5.6 percent, higher than the previous estimate of 5.4 percent. The biggest problem with the ACA, the way it is, is funding it. Parts of it were fine, and the Republican plan embraced those parts. But other parts are unsustainable. What is the point of passing legislation that is unsustainable? Ideally, the president should have worked with Democrats and Republicans in Congress to combine aspects of both their plans, into something that would work. But that didn't happen. We got the Democrats plan shoved down our throats. Now what's going to happen, as this disaster continues to unfold, and it starts to fail? It looks like we shall see. We will all have front row seats, whether we want them or not. The full article at Forbes.com has many embedded links, graphs, and videos. 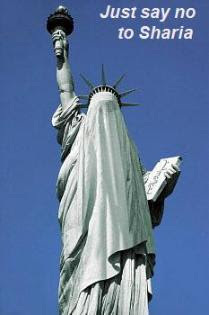 That's the Image they are trying to project on the world stage. But what's going on at home? The number of executions carried out by Iranian authorities — often hanging dubiously convicted citizens from construction cranes in public — has risen sharply since President Hassan Rouhani took office in August, a surge most likely because of a secret power struggle within Iran’s notoriously veiled political system. Away from positive news coverage of the Obama administration’s push for nuclear detente with Iran, the Islamic republic is executing about 66 people per month, 19 more per month than during the 2-year period before Mr. Rouhani took office, according to an analysis of figures compiled by nonpartisan groups including Amnesty International, the Iran Human Rights Documentation Center and various Iranian opposition activists in Washington. Critics of the nuclear deal are citing the executions as evidence that Mr. Rouhani is far from the moderate reformer that many portrayed him to be upon his ascension to the presidency. But U.S. intelligence sources, human rights advocates and high-level sources on Capitol Hill caution against jumping to that conclusion. In interviews with The Washington Times, several sources said reasons for the surge in executions are complex. Mr. Rouhani may have a political mandate from Iran’s supreme leader, Ayatollah Ali Khamenei, to thaw relations with the West. But sources say the president may have limited control over the nation’s judiciary, where decisions are made by other players — including Islamist hard-liners with mandates of their own from Ayatollah Khamenei. A leading theory is that the leader of the Iranian judiciary, Sadeq Larijani, is green-lighting more executions in an attempt to smear Mr. Rouhani’s image as a moderate. The spike in hangings also may result from Ayatollah Khamenei’s desire to hammer home to Iranians that the mullahs’ grip on society remains tight — even if Mr. Rouhani is seen to be spreading the rhetoric of reform on the world stage. Either way, human rights advocates say, Iran is flagrantly violating international law. After Amnesty International’s claim that 33 people were hanged in a single week last month, the top human rights office at the United Nations noted that “28 women and a number of political prisoners” were among those executed in 2013. The office also said the killings were based on convictions that do not meet the “most serious crimes” threshold under international law. “The persistent execution of individuals for exercising their rights to freedom of assembly, association and affiliation to minority groups contravenes universally accepted human rights principles and norms,” said Ahmed Shaheed, U.N. special rapporteur for the situation of human rights in Iran. Some believe Iran’s executions will derail prospects for a long-term thaw in relations with West. 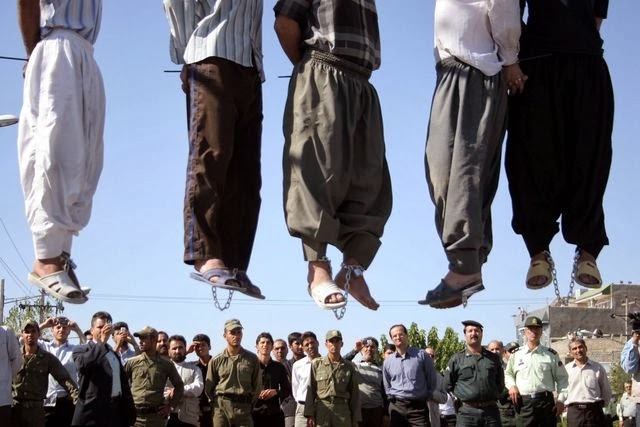 “Iranian authorities’ attempts to change their international image are meaningless if at the same time executions continue to increase,” said Hassiba Hadj Sahraoui, a deputy director at Amnesty International, which opposes all executions everywhere. The situation is adding to unease in Washington, where lawmakers are split over the recent push for diplomacy with Tehran. Most Democrats, including Sen. Dianne Feinstein of California, who heads the Senate Select Committee on Intelligence, call for patience while nuclear negotiations proceed. Many Republicans say Tehran simply can’t be trusted. Others argue that Mr. Rouhani is under immense pressure, walking a tightrope between easing tensions with the West and preventing disruption inside Iran. “We’re clearly seeing a power struggle playing out in Iran between the hard-liners, who aren’t willing to compromise an inch on the nuclear program, and Rouhani, who has placed great emphasis on engagement with the West,” said Rep. Eliot L. Engel of New York, the ranking Democrat on the House Committee on Foreign Affairs. Iranian sources highlight Mr. Larijani as the face of Tehran’s resistance to international criticism over executions. He responded harshly to the United Nations last week, declaring at a meeting with religious and political leaders in Iran that the Islamic republic “will never cave to this type of pressure” from Western-backed entities, according to a report by Al-Monitor, which cited a pro-regime Persian-language website as its source. There are signs that some in Mr. Rouhani’s inner circle are at odds with Mr. Larijani and have been angered by the executions. As hangings spiked in November, Ali Younesi, a reformist member of Iran’s parliament and Mr. Rouhani’s special assistant in ethnic and minority affairs, said “extremist elements” in the government were responsible. But the extent to which blame should fall on Mr. Larijani is not clear. Another source who spoke with The Times said human rights advocates may be overlooking evidence of closeness between the judiciary chief and Mr. Rouhani. One of Mr. Larijani’s brothers is parliament Chairman Ali Larijani, who is believed to be closely aligned with Mr. Rouhani in the push for a nuclear deal with the West. Others point out that Mr. Rouhani named Mostafa Pourmohammadi in August to become justice minister. At the time, Human Rights Watch noted that Mr. Pourmohammadi, previously a deputy intelligence minister, has long been implicated in the government’s 1988 executions of thousands of political dissidents, as well as the assassinations of several intellectuals in 1998. Overanalysis of the politics behind the spike in executions may be irrelevant, said some Iran analysts. They said that whatever is playing out in Tehran is occurring beneath the gaze of the supreme leader — the only figure truly capable of changing the nation’s policies. After Tehran’s violent crackdown on pro-reform demonstrators in 2009, it has been a common perception in Washington that widespread public frustration burns deeply beneath the Islamic republic’s surface. “At times of widespread popular discontent, the regime in Tehran uses executions, in particular public hanging of convicts, as a means of terrorizing the public and reminding Iranians of the power of the central government,” said Ali Alfoneh, a researcher at the Foundation for Defense of Democracies specializing in the inner workings of the Iranian regime. While the situation is complex, and there are many factions with competing agendas on all sides, the one constant factor that does not seem to change, is that the Supreme Leader Ayatollah Ali Khamenei is always in charge, and pulling all the strings. And I'll bet he is nervous, lest he end up like Mubarak or Qaddafi or any number of other deposed Dictators. As Iran's government and a group of global powers creep forward on talks about easing economic sanctions slapped on that country, the Iranian street is showing signs of breaking free from the economic stagnation that has crippled the country for years. Iran and the United States, United Kingdom, France, Russia, China and Germany agreed on Thursday to a timeline and framework for further talks next month on restraining the Islamic state's nuclear ambitions. At the same time, United Nations inspectors have reported improved access to Iran's nuclear facilities. All parties involved continue to warn that serious differences remain in the talks, and hopes for a final deal by July have been called ambitious. Despite the market's rise, there are lingering questions about the economy. Inflation has lowered somewhat, but it still comes in at a staggering 35 percent a year. Rabii said he's optimistic, however, that the new government understands the economy and that inflation will be in the 20 percent range next year as a result. Unemployment is also relatively high: Government estimates put it at 12 percent. However that's much lower than many European countries that were caught up in the financial crisis. Economists who follow Iran add that it has a young and well-educated population. Because jobs have been hard to come by, many young people have chosen to stay in school and earn higher degrees. 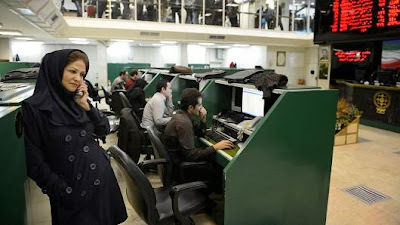 Many analysts believe Iran will be eager to attract new foreign investment in order to create jobs for the up-and-coming segment of the population. Alireza Nader, an Iran expert for the think tank Rand Corp., is one of those analysts. Nader said he sees evidence that Iran's economy has improved since the initial November deal. Still, he noted, most of the sanctions levied against Iran over its nuclear program remain intact. "Iran is losing more money than it is earning, especially since it can't export all of its oil," Nader said. He agreed with Rabii that confidence in the new government of President Hassan Rouhani is helping the public's mood and giving strength to the Iranian currency, the rial. Cliff Kupchan, who studies Iran for the Eurasia Group, told CNBC that he sees an immediate improvement in Iran's economy since the initial deal was reached about three months ago. But he said Iran's economic gains would be cut if a nuclear deal falls through and full sanctions are restored. "The rial would plummet again, Iran's deficit would grow, access to foreign cash reserves would vanish, I think most of the gains Iran has seen would disappear," he said. I have mixed feeling about all this. On the one hand, if foreign in vestment were to pour into Iran, in theory, that would give the West some leverage with Iran, by tying Irans economy and prosperity in with Western Markets. I say "in theory", because whatever seems to be happening in Iran, it's always the Supreme Leader who is in charge. He could welcome Western investment in Iran, to build up and strengthen it's economy, and then at some point confiscate those assets and throw the Westerners out, as Iran has done in the past. If they could use those new assets and corresponding strength to then wage war against Iraq, or otherwise gain access to Iraq's oilfields, they could disregard the West completely, as they would then be in a position of great power, and could pursue their nuclear ambitions without restraint. That is the danger of allowing Iran to strengthen, while the Supreme Leader Khamenei is still in charge. His agenda is his own. It seems to me unwise to risk encouraging or advancing it. And look and see what "reform" means in Iran currently. We have to ask ourselves, is this is a country we wish to strengthen? We kept pressure on the former Soviet Union until it self-destructed. Should we not do the same here? Iran, under the surface... is it crumbling? Iran's pressing needs and Iraq's vulnerability. Despite rumors, the singularity, or point at which artificial intelligence can overtake human smarts, still isn't quite here. One of the world's most powerful supercomputers is still no match for the humble human brain, taking 40 minutes to replicate a single second of brain activity. Researchers in Germany and Japan used K, the fourth-most powerful supercomputer in the world, to simulate brain activity. With more than 700,000 processor cores and 1.4 million gigabytes of RAM, K simulated the interplay of 1.73 billion nerve cells and more than 10 trillion synapses, or junctions between brain cells. Though that may sound like a lot of brain cells and connections, it represents just 1 percent of the human brain's network. The long-term goal is to make computing so fast that it can simulate the mind— brain cell by brain cell— in real-time. That may be feasible by the end of the decade, researcher Markus Diesmann, of the University of Freiburg, told the Telegraph. It "may be" feasible by the end of the decade? To catch up with one second of human brain activity? Even if it does, we're talking about a Super-Computer. It's a long way from the android brain in the video. And yes, computers are advancing very fast. But to catch up with a human brain, much less surpass it... it won't happen tomorrow. "Our minds love music, so this offers a pleasurable way to interface with the data," project leader Mary Quinn of the University of New Hampshire, Durham, said in a statement. "It also provides accessibility for people with visual impairment." Give the page a minute or two to load. In the upper left hand corner is a sound bar that controls the music, it should start playing automatically. The site has a lot of detailed information about how it all works. I've checked it out a few times. The "Music" is probably more ambient than musical, though it can vary a considerable degree, depending on the space weather. Sometimes it sounds more pleasant than others. Could you make the grade in 1912? 1912 eighth grade exam: Could you make it to high school in 1912? A 1912 eighth-grade exam was donated to a museum in Bullitt County, Ky. The Bullitt County Genealogical Society put a scanned copy of the 1912 eighth-grade exam on its website today. This exam was called the "Common Exam" in 1912 and was "apparently a big deal," according to the Society's description of the scanned document. Students in Bullitt County would come to the county courthouse once or twice a year to take the exam. For passing the exam, students could be given scholarships to attend high school ("which was also a big deal back then," the site says). The exam consists of 56 questions, a 40-word spelling test, and mentions a separate reading and writing test. The test quizzed students on mathematics, grammar, geography, physiology, civil government, and history. Try the questions out... and weep. I gave up pretty quick. I'm sure I actually learned some of this stuff back in the day, but it ain't available on instant recall. All I can say now is, "Where's my calculator?" Can computers become WAY too intrusive? EmoSPARK is unique in many ways, in the way it processes and functions, drawing on your hopes, feelings and experiences, growing and developing with your family requirements, unlike any other multimedia home console has ever done before. In the same way, you support and nurture your maturing family, your EmoSPARK, will take its lead from you. The EmoSPARK is the first artificial intelligence (AI) console empowered by you. Learning from you and your family the cube, which will interact on a conversational level, takes note of your feelings and reactions to audio and visual media. It learns to like what you like, and with your guidance, recognises what makes you feel happy. It learns to recognise your face and voice, along with your family members, as well as becoming familiar with the times when you are feeling a little down in the dumps. Then it can play the music it knows you enjoy, or recall a photograph or short video of happier events. You will be in control of how you interact and engage with the EmoSPARK, which is an Android powered Wi-Fi/Bluetooth cube. The cube, like any family member, soon gets to know and recognise the likes and dislikes of the people around it. Likewise with its unique Emotion Processing Unit, you can watch the ever changing display of colours that form and blend in the iris of the eye of the cube indicating how it is "feeling" at any particular moment. EmoSPARK also holds the knowledge contained within Wikipedia and Freebase, as well as being connected to NASA satellite MODIS, so it has up to the minute information about global happenings, changes and hazards such as storm warnings, wild fires and hurricanes. As you take charge of its growth pattern, the cube will in turn, help out with any piece of information you care to ask, which makes it one of the best and impartial quizmasters during a family fun night or evening homework session. You can also interact with the cube by remote access, via video conferencing or your phone app and in this way you can take gaming, your television, smart phone and computer to the pinnacle of interactive media. Every step of the way, with this amazing and unique piece of AI technology, you are in complete control. You are the catalyst that will develop its conversational and emotional skills, and it will learn through interaction, comments and responses from you. Then, like any family member, it will want to show you off to its friends. The EmoSPARK, with its one of a kind Emotional Profile Graph, has access to a communication grid only for other cubes. All it will be able to do is recognise other cubes with similar emotional profiles and can only share media, nothing about you or your family members. It can look for the media it knows makes you happy and can then recommend or play this for your enjoyment. Over time and with your guidance, the EmoSPARK develops a personality of its own, and will enhance and support the quality of family life you enjoy. From keeping your children entertained, as well as providing them with some company before you get back from work, to sharing emotions, as well as precious memories, with loved ones who may be living and working away from home, the EmoSPARK provides the emotive, intelligent link between human beings and our technology. 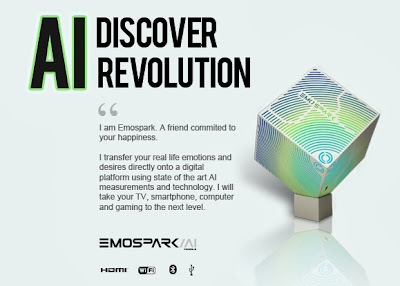 EmoSPARK is an Android powered cube that allows users to create and interact with an emotionally intelligent device through conversation, music, and visual media. EmoSPARK measures your behaviour and emotions and creates an emotional profile then endeavours to improve your mood and keep you happy and healthy. EmoSPARK can feel an infinite variety in the emotional spectrum based on 8 primary human emotions, Joy, Sadness, Trust, Disgust, Fear, Anger, Surprise and Anticipation. EmoSPARK app lets the owner use a smart device to witness the intensity and nuance of the cubes emotional status. The more the cube learns the more it can help you. EmoSPARK has access to freebase and is able to answer questions on 39 million topics instantly. Amazing interactive learning experience for all. EmoSPARK has conversational intelligence and is able to freely and easily hold a meaningful conversation with you in person or over your device. New Virtually a family member. Interactive media player understanding your desires and needs. AI empowered by you and powered by happiness. Would you want one in your house? Speaking to you, making suggestions, interrogating your friends, rolling that silly ball around the floor, till it trips and injures/kills someone? "I feel happy", it says. No it doesn't. It's not alive, it has no feelings, it's an algorithm. Ok, I did like the egg timer. That's because SHE initiated that contact. The rest seemed kind of... intrusive. I don't want a machine directing my conversations, and guiding my actions. Next thing you know, it will lock you outside your garage door, telling you that you're endangering the mission. That's if it doesn't kill you in your sleep first. And talk about information gathering... can you imagine what the NSA could do with a feed from such a device? It could become Big Brother's favorite tool. I find the whole concept both fascinating, and revolting. I'm not the only one, just look at some of the comments left on the YouTube page. I don't want to be totally negative about this. It's just that it's application can be so diverse and used in so many ways. I doubt we've even begun to guess all the unforeseen consequences of many of them. But ready or not, here it comes. Are you ready for the Brave New World? Update 02-16-14: Is EmoSPARK a scam? It seems to be a "kickstarter" operation, attempting to raise funds to build the product. I have no way of knowing if it's legitimate or not, and a quick Google search didn't reveal much, other that what the company itself says. Using things like "face recognition" in a product for the home, seems more advanced than I would expect for something in the home market at this point. But I'm no expert either, and I wouldn't doubt that someone will try to be first to market with such a product, as many existing technologies are being perfected and mass-produced more inexpensively. The EmoSPARK idea is an interesting concept, insofar as it shows where this technology could go, and where some people want to take it. I'm not endorsing this (yet to be produced?) product, or warning you off it. I'm just saying, caution is advisable before investing in anything cutting-edge. Buyer Beware. Will software relationships replace people? My daughter produced a movie called "Her." It's about this guy that gets divorced and is having a rough time finding a relationship until he meets this piece of software ... it's an artificially intelligent bot, that takes no physical form. Here's a guy that's chosen to have a relationship with a piece of software instead of a human being. That's one way it can go. You can say that's utterly ridiculous. But I am so disturbed by kids who spend all day playing video games. They've chosen a virtual self. This weird thing where NFL says 60 minutes a day you should go outside? I know I was a kid a long time ago, but if the sun rose, I was outside on my bike and if my parents were lucky, I would be home before dark. The fact that people have chosen games where there's a virtual ball rather than a real ball ... that's because [games are] easy. It's very hard for me to be LeBron [James]. I was pretty good at basketball, I'm still not bad, but I'm not LeBron. Now everyone gets to be LeBron in virtual reality. But in reality only one guy gets to be LeBron. Where does it all end? "Her" is kind of the next thing. What about virtual relationships, where your virtual partner just keeps telling you how great you are? I won't tell you how the movie ends, but it's amazing: Be careful about virtual relationships with artificially intelligent pieces of software, that are gradually getting smarter than you are. The truth is, the future that Ellison describes is already here. Virtual girlfriend apps are all the rage in Japan right now. [...] After reading stories about the game Love Plus and how there are Japanese men who would rather date virtual ladies than real ones (one man even got married to his on-screen girlfriend), I wanted to test out what it would be like to date someone who isn’t real. I wanted test how well a gamified relationship stacked up to real life, whether I could find love — or something like it — amid the pixels and 3D animation. Love Plus, a Nintendo DS game, is only available in Japan, so I browsed virtual dating apps in the Google Play Store. My Virtual Girlfriend was the most popular. [...] It's easy to scoff at this game for being stupid, over-the-top, and kinda sexist. I’ve been in a real relationship for almost a year and, in some ways, playing My Virtual Girlfriend reminded me of what my boyfriend and my early dalliances felt like. It took time and effort to progress through the levels and if I closed the app and ignored my lady for too long, she needed some sweet talk before warming back up. Starting something new isn't easy. Plus, all the girls responded differently to different things and getting to know them proved surprisingly challenging at times. Some action-reactions were obvious, but others less so. Tell Jen a joke? She hated it. Ditto with complimenting her eyes, though admiring her smile got her to waggle her hips and giggle at me. And her thought process was more nuanced than I would expect. After I “gave blood” to raise money to take us on a date, she chastised me for being too broke. So, when I earned the option to flash my cash later in the game, I thought I'd try it since she clearly valued money. But instead of offering her signature giggle, she just looked revolted, quickly rebuking my attempt to win her heart with money. Unsurprisingly, she also hated my catcalling and, well, picking my nose lowered my love score too. Unlocking new options and figuring out how to prevent my girlfriend from getting outraged and breaking up with me made me feel like she and I were growing closer, even though she was just following an algorithm. But, despite the fun, gamefied challenge of the relationship, I could never see myself developing actual feelings for any girl in the game. The author talks about another program she found, that was more sexual and creepy. She said that a program like the Japanese Love Plus, isn't available in the West, probably because of cultural stigma. There may be a stigma, but for how long? Many Japanese things have crept their way into our culture. I wouldn't be surprised if "Love Plus" makes it's way here too. She ends the article with a brief but interesting interview with creator of the "My Virtual Girlfriend" program. Another aspect of The Brave New World is here. Are you ready for it? Inspired by termite behavior, engineers and scientists at Harvard have developed a team of robots that can build without supervision. [...] Termes, the result of a four-year project, is a collective system of autonomous robots that can build complex, three-dimensional structures such as towers, castles, and pyramids without any need for central command or dedicated roles. They can carry bricks, build stairs, climb them to reach higher levels, and add bricks to a structure. "The key inspiration we took from termites is the idea that you can do something really complicated as a group, without a supervisor, and secondly that you can do it without everybody discussing explicitly what's going on, but just by modifying the environment," said principal investigator Radhika Nagpal, Fred Kavli Professor of Computer Science at Harvard SEAS. The way termites operate is a phenomenon called stigmergy. This means that the termites don't observe each other, but changes in the environment around them -- much like the way ants leave trails for each other. The Termes robots operate on the same principal. Each individual robot doesn't know how many other robots are operating, but all are able to gauge changes in the structure and readjust on the fly accordingly. This means that if one robot breaks down, it does not affect the rest of the robots. Engineers simply program the robots with blueprints and leave them alone to perform the work. The robots at the moment are quite small -- about the size of a toy car -- but are quite simple, operating on just four simple types of sensors and three actuators. 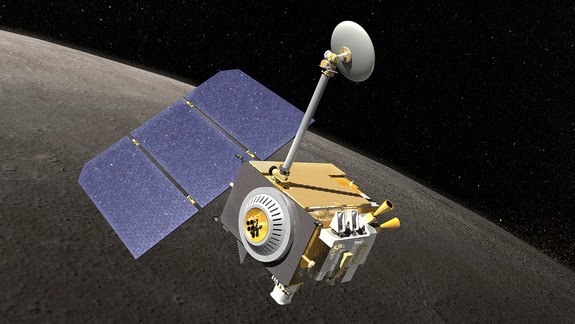 According to the team, they could be easily scaled up or down to suit the needs of the project, and could be deployed in areas where it's difficult for humans to work -- the moon, for instance, although that's an extreme example. Once more, the future is here. Follow the link for video and embedded links. The story is all over the internet, with minor variations. 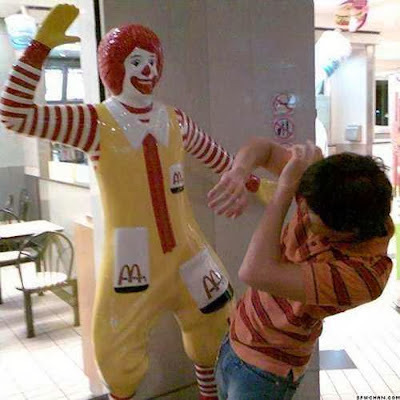 But sometimes, with a rather violent alternate ending. What's wrong with "The Never Ending Story"? It's hard to find someone who hasn't seen 1984's The NeverEnding Story at least once, if only on cable. It's one of those movies like The Shawshank Redemption that didn't seem like a big deal at the time, but now is as much a part of our childhoods as playing with Legos or shooting people because we knew the courts couldn't prosecute minors. Read on, for a good chuckle. I remember even thinking about some of these myself, when I first saw the movie. Who wants a Classical Liberal Education? As many of you know, I read a lot of biographies on the lives of great men from history. The part of a man’s life I enjoy learning about the most is their education. What books did they read as young men that influenced them later on in life? Where did they travel? What classes did they take while at university? I’ll take notes on these things and try to incorporate their favorite books into my reading list or pick-up an audio course at the library that correlates to a subject they studied. One thing I’ve noticed about my manly heroes is they all took courses in rhetoric at some point during their education. Intrigued by this commonality, I decided to look into why this was so. The answer was simple: rhetoric was an essential part of a liberal education from the days of Aristotle all the way up to the early 20th century. A well-educated man was expected to write and speak effectively and persuasively and students devoted several years to studying how to do so. But in the early part of the 20th century, a shift in education occurred. Degrees which prepared students for specific careers replaced a classical, liberal arts education. Today’s college students get just a semester of rhetoric training in their Freshman English Composition classes, and these courses often barely skim the subject. Our economy and society in the West in general are becoming increasingly knowledge and information based; the ability to communicate effectively and persuasively is more essential to success than ever before. Yet we’re spending less and less time teaching our young people the very subject that will help them navigate this new world. It goes on to talk about what rhetoric actually is, and the ways you can benefit from studying it. I especially liked "Protects you from intellectual despotism". This just part of a series, there are links at the bottom of the article to the other parts of the series. Goody! Lots to look forward to. Sen. Rand Paul, R-Ky., delivered a stark demographic warning to his party on Saturday, predicting that Texas – a sizable electoral prize that Republicans cannot afford to lose in national elections – may tilt Democratic within 10 years if the GOP doesn’t broaden its appeal. Paul’s pitch to Texas Republicans focused largely on the party’s appeal among Hispanic Americans, who have trended strongly Democratic in recent elections. He acknowledged that immigration reform, a top priority for many Hispanic political leaders, is a “touchy” subject for Republicans. 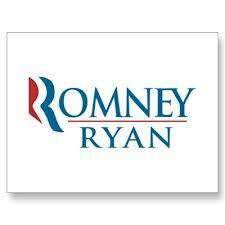 But he counseled the GOP not to shy away from the debate, though it may expose intra-party divisions. And if the response continues to be tepid, it will be an ongoing case of "too little, too late", as the GOP fades into obscurity. South Africa’s main opposition party – the Democratic Alliance – will run a black woman as its presidential candidate. Elections are expected in April, but President Jacob Zuma has not set a date yet. The DA has chosen Dr. Mamphela Ramphele, former companion of the late activist Steve Biko. She is also a former World Bank managing director and University of Cape Town vice-chancellor. The couple had two sons together, but never married. Ramphele had formed her own political party, Agang, just last year. However, she’s now joined the DA. Robertson said that Ramphele is a “good addition” to the DA. The party has its roots in opposition politics during apartheid. When the former ruling National Party folded, many of its members joined the DA giving it a boost in both parliament and credibility. The DA controls the Western Province and Cape Town and hopes to make strong inroads this year in the Johannesburg/Pretoria area. But the Democratic Alliance remains a party with mainly white leadership. 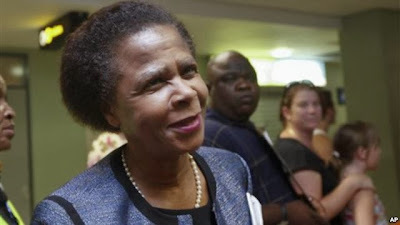 Dr. Ramphele is an interesting candidate. I wonder what her chances are of winning? If you follow the link, the page has a link to an interview with South African analyst Delia Robertson. Coursera. Coursera works with top universities from around the world to offer classes online for free. You can take classes from a variety of disciplines including computer sciences, psychology, and Spanish. OpenStudy. OpenStudy is a social learning network that allows you to connect with individuals with the same learning goals as you. Khan Academy. I freaking love Khan Academy. You’ll find over 4,000 videos covering topics ranging from algebra to finance to history. My favorite part of Khan Academy, though, is math exercises. You start with basic math and work your way up to calculus in an adaptive, game-like environment. I’ve been slowly going through the exercises to freshen up on my math. Duolingo. Free website to learn foreign languages. It’s a pretty cool set up. As you progress through the lessons, you’re simultaneously helping translate websites and other documents. Code Academy. Learn to code for free with interactive exercises. I wish Code Academy was around when I was learning how to build AoM. It would have helped a lot. edX. Harvard University and MIT partnered together to create interactive, free online courses. The same world-renowned professors that teach at Harvard and MIT have created the courses on edX. You can find courses for just about any subject. I’ve signed up for a class called The Ancient Greek Hero. Class started last week, but you can still sign up. Join me! Udacity. Udacity is similar to edX and Coursera. College level classes taught online for free. CreativeLive. I discovered CreativeLive a few weeks ago. It’s an interesting concept. You can watch the live stream of the course being taught for free, but if you want to view the course later and at your own pace you have to pay for it. The courses focus on more creative and business subjects like videography and online marketing. I’ve sat in on a few of the free courses and was impressed with the curriculum. TED. TED compiles speeches and lectures not only by professors but interesting people from many different walks of life. TED talks are lighter than academic lectures, often quite funny, and concentrate on interesting ideas and concepts. And most are 20 minutes or less, so they’re great for those with a short attention span. iTunes U. Download thousands of free podcast lectures taught by the best professors from around the world and learn while in your car. YouTube EDU. Instead of watching a bunch of auto-tuned cats, enrich your mind by browsing through YouTube EDU. They have thousands of videos that cover a variety of topics. For more ideas on free learning resources, check out this post: How to Become a Renaissance Man Without Spending a Dime. "The best place on the web to learn anything, free." It has many links to a wide variety of topics. If this post makes it sound like you’re “Frankensteining” your education, cobbling various exams and credit sources together to form a degree…you’re right. That’s exactly what I’m advocating. This might seem strange at first, but I encourage you to look at it differently. Why do we see college as this magical guarantee of financial success? It’s because of these oft-cited studies on how much more graduates earn over their lifetimes than non-grads. We hear sweeping statements (“people with bachelor’s degrees earn $1 million more!”) and assume that it MUST be a great investment, no matter what it costs. That’s from CollegeBoard, the organization that makes the SATs. They’re basically telling you to just pay whatever a degree costs. You don’t make huge financial decisions with simplistic rules like “whatever sacrifices you make are worth it in the long-term.” How is that any different than telling you to shoot first and ask questions later? No — you make huge financial decisions is by running the numbers. Which brings us back to these studies on college graduate earnings. They aren’t “wrong,” but they are misleading. Here’s why: earning a higher income doesn’t automatically mean you’re getting ahead. You can earn $20,000/year before college, get a $60,000/year job afterwards, and still be no better off. If you spend $100,000 for a degree (and take four years off of work to do it) you have incurred a huge financial and opportunity cost. You took out a loan against your future earnings which must now be repaid over five, ten, maybe even fifteen or twenty years. Even then, once all the loans are repaid and you’ve earned back all the income you lost by not working, guess what? All you have done is break even! You’re back at square one. Finally, after years of repaying loans and interest, you can start actually benefiting from the higher income you earned your degree for. Most college students don’t realize that this is what they’ve agreed to until after they graduate. They just see college as a magical guarantee of financial success. Yet whether they realize it or not, their student loans often chain them to a life of indentured servitude. This is a fascinating article, not only for pointing out the pitfalls of going into debt for an education, but also for the heaps of practical advice for avoiding that debt and still getting your degree. The comments after the article are just as interesting. The author is criticized for his advice, and he answers his critics. A very lively, informative discussion. This has been the biggest criticism of my MIT Challenge, and honestly, it’s not an easy one to avoid. Even if weirdos like me are willing to learn a degree outside of school, the truth is the world still values that piece of paper. Unfortunately, until recently I’ve had little answer to this complaint–it seems if you want the degree, you have to suffer through an often slow and expensive process. That was before I met Jay Cross. Jay in many ways did a project similar to mine–he completed a bachelor’s degree in less time, mostly through self-study. The only difference? Jay got a real degree for his efforts. I asked Jay to write a guest post to share his method with you. Not only does it work, but it gets results in the real world as well. Jay has already had career opportunities that would be the envy of a lot of college grads, having staff writing positions for major publications and entrepreneurial ventures. Jay demonstrates that not only can self-education work, it can be a true alternative for many students hesitant about college. Today, I’m going to show you a totally new twist on self-education. We’ve long been told that learning is an “either/or” decision. You can either spend four years in college and earn a degree…OR study on your own with no degree to show for it. But what if you could have the best of both: the credential employers crave, with the speed, personalization and low cost of self-study? Using the “degree-by-examination” approach, you can earn a bachelor’s degree by taking tests instead of classes. It works no matter where you live, lets you graduate in one year instead of four, and costs roughly 1/20th the price of a regular degree…with the exact same legitimacy and earning power. Some jobs require degrees no matter how smart you are. Even in more flexible professions (like programming) there’s always one or two “By-The-Book Bob” types who reject non-grads on principle. This concerned me, even with all I had accomplished already. If there was any way to graduate for minimal time and cost—and eliminate this potential obstacle—it seemed worthwhile to try. Of all the different approaches I researched and read about, degree-by-examination was the college shortcut that actually worked. See how he did it. This is must reading for anyone who is considering going into deep debt for a college education. There ARE alternatives. I wish I had known this back in the day, when I dropped out of college because it was so enormously expensive. These are alternatives that can really work.